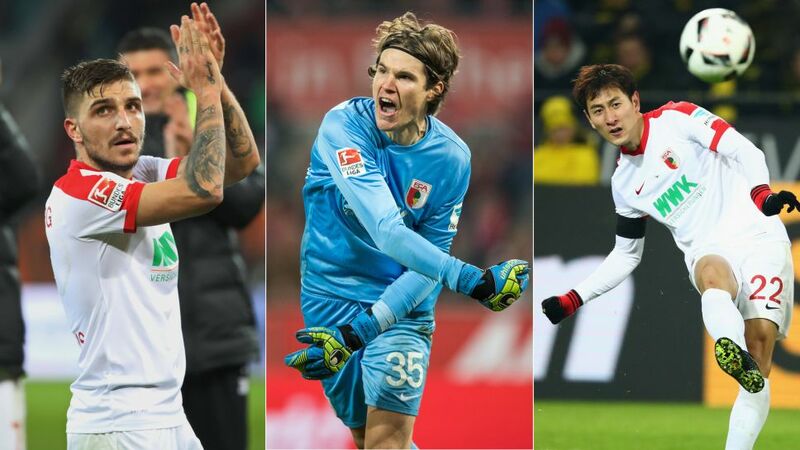 At the halfway point of the 2016/17 Bundesliga season, it is time for bundesliga.com to dissect the campaigns of each club so far. Following the departure of Markus Weinzierl, who had managed FC Augsburg through the most successful era in their history, it was time to turn the page this summer with Dirk Schuster calling the shots. While spending much of the time in the bottom third of the standings, the Bavarians have never really flirted with the relegation zone, but that was still not quite enough to convince club bosses that Schuster was taking them forward. He was replaced after just 166 days in the job by Manuel Baum, hitherto head of the club's youth academy. With four points from the last two fixtures of the year, Baum has led them into a calm although not altogether safe 12th position. The Swiss custodian has once again provided the solid foundations upon which Augsburg's season has been built. The 29-year-old has been an ever-present for the Bavarians, conceding just 17 goals in 16 games, with only five clubs conceding fewer this term – and they are all currently in the top seven. Hitz's run in the team also includes six clean sheets.